Installing a shed base on uneven ground can be a little tricky. For most people, this isn’t an issue. 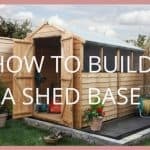 So, if you will be building a shed base on flat ground, read our article how to build a shed base. As the gradient on the sloping ground becomes steeper, the problem becomes greater. 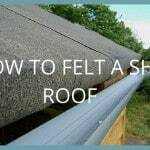 However, there are different solutions for building a shed base on a slope. Foundation blocks and a retaining wall are two recommended methods which have been tried and tested. Find out about each solution works below. The simplest way to solve the problem of the sloping ground is to use foundation blocks. This will compensate for higher or lower ground on one side of the garden and you can add or remove blocks to make the base completely level. Step 1: Firstly, measure the size of your new shed and use posts to mark out where the blocks will go. Use ribbon to keep them in line. Step 2: Dig the top layer to make the ground as flat as possible. Clear any excess soil to one side and measure four rows of three blocks. This will keep an even distribution of weight for the shed base. Step 3: Dig two inches wider than the blocks and six inches deep. Fill the hole with pea gravel so you have a flat surface. Place the timber planks along the rows of blocks to determine how flat it is. You can add or remove blocks if necessary. 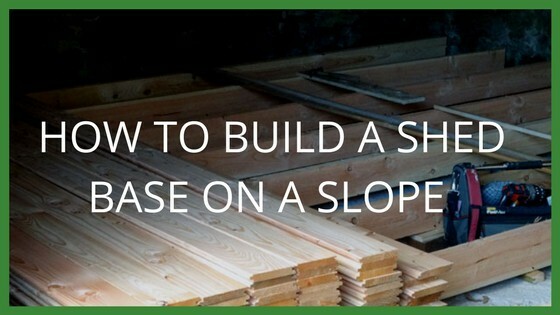 Step 4: Once you the shed base is level, you can start to add your shed base on top. Start from one side and screw the base on top of the timber panels. 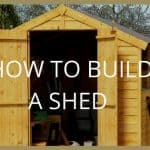 You’ll then have a solid and sturdy base to place your shed on. For shallower slopes, this method can be just as easy. It involves cutting into the slope to create a level platform with the steeper ground being held back by a retaining wall. This is a perfectly do-able DIY project. 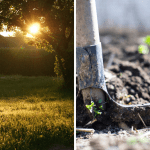 Step 1: Start by digging out the soil to create a flat surface. 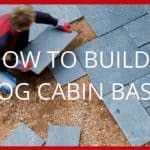 Balance the cut and fill by using the soil dug out of the slope to build up the platform for the shed. Note: This can have two problems, first of all compacting the excavated material may be difficult and secondly a second retaining wall may be needed. Depending upon space requirements. Step 2: Build a brick or block retaining wall, this is suitable for walls of up to about 0.9 m.For retaining wall designs above 0.9m, it is recommended you get advice about ground stability and wall design from a builder. Keep the shed at a distance from the retaining wall so you can easily walk around it and carry out maintenance when needed. Access: For the retaining wall solution you would enter from the lower side of the slope or from the side. Planning regulations: Check before any building work that you are not breaking any local planning laws.